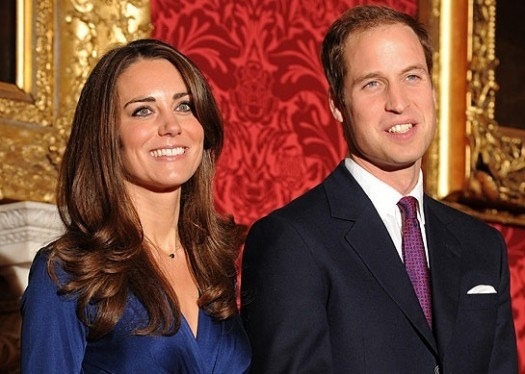 City Connect » Dating & Relationships » William and Kate – Will They Last? William and Kate – Will They Last? Well a question no doubt on everyone’s lips is whether Wills and Kate are destined to be together. Many people wonder whether the temporary split is still a niggle between them or whether it is the foundation that will hold them together. When people are not pondering about this they are questioning whether Kate has what it takes to be part of the Royal family given her different background, but perhaps it is these differences that make this couple so special. I think the official interview (courtesy of the Royal Channel) given by the couple as shown in this clip below is a good indicator as to the success of their relationship. In the beginning of this interview, Prince William is asked about how he proposed. All in all he seems proud that he was romantic and the setting in Africa seems idealistic. It is interesting to note around 58 seconds into the clip, he purses his lips almost as if he is holding some information back. He then licks his lips which could be as simple as a comforter or could be because his mouth is dry which is one indicator that someone could be withholding information. At the end of the day, this couple should have some secrets and be allowed to not reveal everything so I would conclude that the proposal story is genuine and although a long time coming was actually perfectly timed for this happy couple. It is interesting to note that William’s comforters increase when Kate is talking. For example, his hands touch each other more, at some stages actually rubbing his fingers. This is seen throughout the clip, a good example is just after a minute in but if you watch closely it is pretty constant. He is obviously no stranger to media questions so I would also hazard a guess it is because Kate is now being subjected to questioning, which she has not been accustomed to in such a way before. The couple are however very natural at times, William more so. A good clip to see this is approximately 2:18 minutes in when he is talking about how he feels like a duck calm on the surface of the water but little feet paddling frantically beneath. William is full of genuine smiles, animated language and hand gestures. He continues to openly discuss his feelings and how it was difficult to hide the engagement which again seems genuine, his hand gestures are open and there are no signs of deception on his face. It appears he also kept quiet about the engagement to give Kate time to adapt and change her mind. Luckily she didn’t as they do seem like a potentially good couple, it is almost beautiful to watch as the interviewer proceeds in asking about children (approx. 4:18mins in) and Wills has a shy but excited smile and Kate’s face lights up with a full on nervous giggle to boot. It is a shame that this natural burst of emotion is quickly maintained by both parties and you see Kate very aware of the cameras again. This is not a criticism as no doubt it must be hard for her. You cannot choose who you love. The interview continues on with a lot of hand comforters from William and a few mouth indicators from Kate showing at times a repressed desire to speak and at others a frustration and tension. At 9:18mins in the interviewer has asked about the break up and you can see immediately Kate brushes her hair back, then you can see her physically relive some obviously very tough moments for her. Her lips turn down showing outwards signs of sadness and displeasure but she brings it back with a vocabulary that makes her appear like the strong woman that she will have to be to live in this media spotlight. The interviewer then takes it to a point which I think a little unfair, but perhaps that is just life in the spotlight, when he mentions Diana and how Kate will live up to her memory. William quite obviously looks sad and it does not take an expert to see this. Kate on the receiving end of the question deflects it as best she can but her body language including nose flair, pursed lips, deep swallow and even a lick of her lips during the word intimidating tell a very different story. It seems an unfair question as no-one is asking Kate to be Diana but one that they both did well to recover from considering how difficult they found it. Another potential unfair question (in my opinion) was when the reporter asked Kate how she felt about criticism. No doubt anyone would be lying if they said they were ok with horrendous rumours going around about them whether they are true or not, so it was no surprise to see deeper swallows (15.10mins onwards) with Kate looking down, lips turned downwards, and an outright deflection of the question. This reporter didn’t give up and repeats the question and Kate shows that she is already learning to deflect questions, she needs more practice in controlling her body language but I think that will come in time as her vocabulary although slightly stilted is very good at avoidance. It is nice to see the couple return to a happier state at around 16:32mins in when they both have very genuine and animated reactions to the question about whether they are excited about the wedding. It is even sweeter to see Wills comfort Kate at 17:10mins by patting her on the knee while she is talking about learning the ropes and working hard at being his wife. The interview finally ends as expected with relief from the couple that they survived. I think this video showed Kate can handle the press, yes she needs work but it will come. It was a valiant effort; Will is obviously there to support her through it all. As a couple I think they will do wonderfully, although a quick brush up on controlling a few of their indicators from their experts and speech writers would probably hold them in good stead for the future as the media can be a tough forum to start out a marriage. I wish them all the best and hope for sunshine on their happy day. Tagged dating, royal, Sloan Sheridan Williams, wedding. Bookmark the permalink. One Response to William and Kate – Will They Last? Bailey, what a brilliant article! It’s scary how you can read Wills & Kate like that. How cool to know what they’re thinking. Fab!